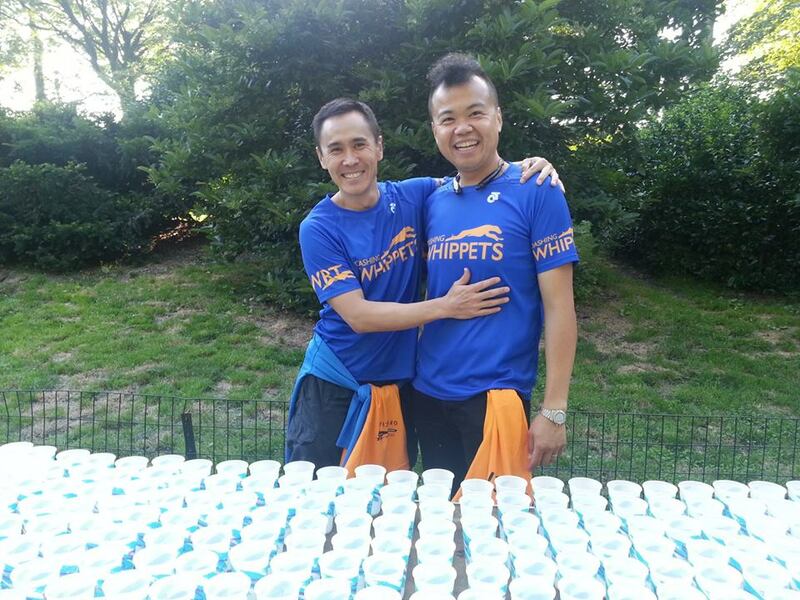 Last night, some people from my team and I were volunteering at the JP Morgan Corporate Challenge. This race scares me a bit so I never run it, even when my company participated. 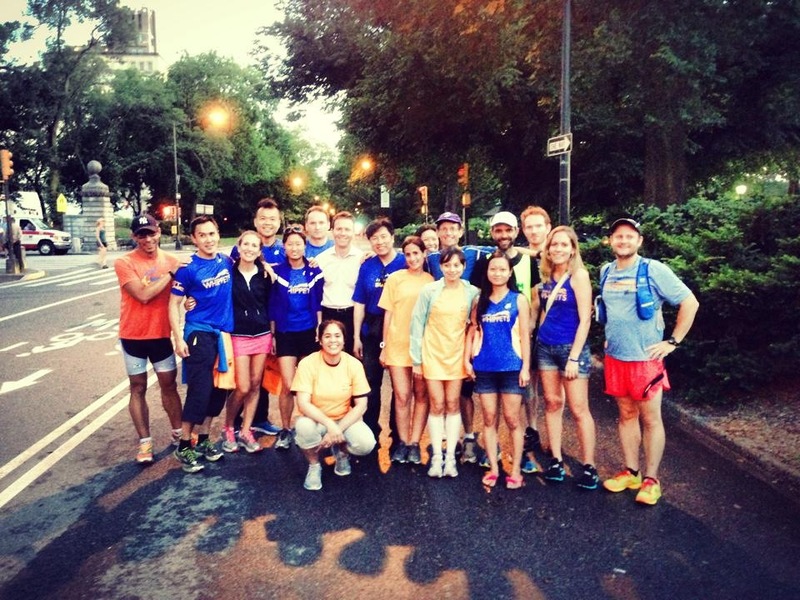 There’s over 15K runners/walkers in a 3.5 mile loop in Central Park (such an odd distance!). Companies participate and race each other so there is a huge probability that your boss or coworker forced you to do this. You could tell a lot of the people were not really into it. It has gotten a LOT better in the last two years, but I remember seeing many (MANY) people cutting across the park through the reservoir and doing all sorts of crazy things to finish this event. It was so crowded you would go crazy, I get it. That’s not what I call a race or fun, so I never did it. In the last two years they’ve gotten timing chips and corrals which has helped a lot and I’ve seen a HUGE improvement. People actually seem to enjoy it! Some dress up, they all run with friends, it’s turning into a HUGE and super FUN event. How do I know all this if I’ve never participated? I’ve been volunteering at the same water stop in the last 3 years. My team participates in this water stop and I always go. It’s always fun to watch and cheer, so at least this way I do something productive. And because running is such a free-happening activity, there’s a lot of rules, processes, efficiencies, and etiquette. 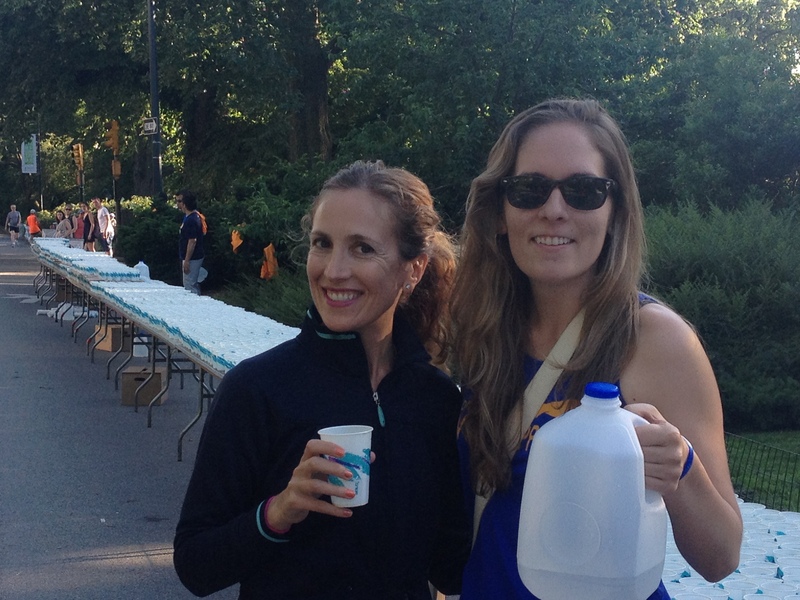 So… I decided to write down a few tips for all of us, because we are at water stops all the time. Be careful approaching the tables and don’t cut anyone off changing lanes. Please. Use your arm to signal you’re changing lanes. If you didn’t notice the tables until it’s too late, you might just be better off waiting for the next water stop; if you don’t want to wait, you can’t just turn and make an abrupt angle. I know, you’re thirsty and delusional and tired, but keep going, change lanes carefully and come back if you have to. Never go for the first table, that’s where the clump of people will be and you’ll get stuck, keep running for the last tables. If possible: don’t stop running. Make eye contact with a volunteer who is handing out water, slow down, grab it slowly and go. If you can not run while drinking, like me, get your water at the last table and move behind the last table, sip there, then merge back in carefully. Never stop abruptly for water, there might be someone right behind you. Put your arm up, signaling you’re about to stop, get close to the table and slow down. Once you get your water, for Pre’s sake, get out of the way. Carefully. There’s more people who need water. Please don’t linger there comparing the amount of water in each cup and picking through them. Grab two if you have to. Try, I know it can be hard, but try not to throw a million cups down while grabbing one. Thank the volunteers if you have any breath left, they are soaked, stressed, and out there for no reason other than to help out. You are a miracle worker, these people need you. Please be mindful of what is happening because someone might need your urgent help. Your cheers mean the world too. Giving a runner a smile during a race buys you a hundred karma points. Smile. There is nothing you can do about your wet feet. Get over it. 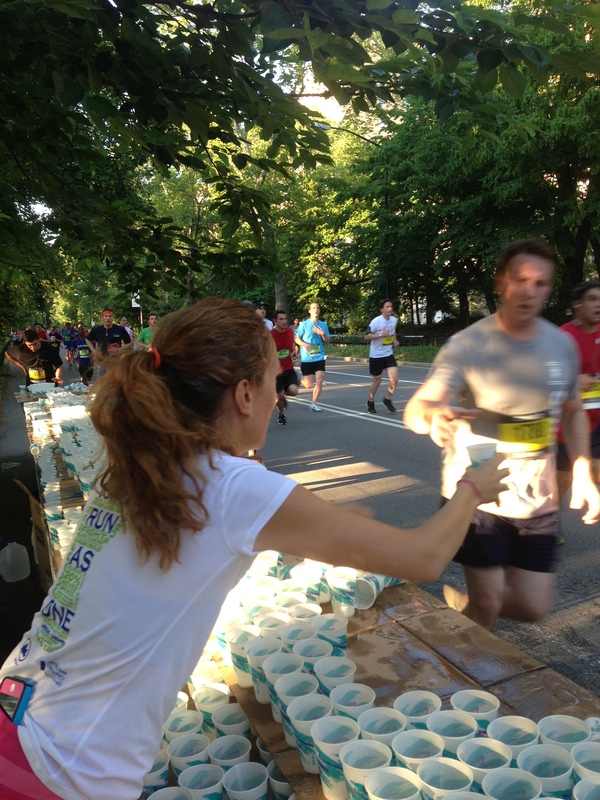 Have a cup in each hand and hold them up so runners can see them and reach out for it. Make eye contact, and reassure them that’s their water. Once they grab it, push a bit in the hand-over, they are moving and it will help not drip any water. Move one cup from the other hand to the extended arm that just handed out water, so you always have one cup up. Smile and cheer. You got this. Keep at it. Looking great. All come out of your mouth very easily. If you are funny and smart go for that too. Juan was shouting free water, and Kenneth hot water, or water for pretty ladies only. Have fun. Make sure everyone else is having fun too. We all need each other after all, don’t we? ← “interesting” google searches that end up in my blog…?!?! That’s awesome! I always try to remember to thank the volunteers! They’re giving of their time so that we can enjoy a fun event. I’m sure they could think of 50 other great ways to spend their time. But only if you’re not racing mad… we understand, we’ve both been on the other side too! I’m pleasantly surprised that this race is still around. I used to run it in the 80s and early 90s when I was with Irving Trust and Bank of New York. It was sponsored by Manufacturers Hanover Bank which was acquired by JP Morgan Chase. I am dying for you to tell us how it used to be!!!! Is that a skirt or a hanky? J/K I’m really not complaining. it’s a skort,skirt with shorts!